As a property management company, your assets are your clients, equipment, and resources that you use to properly manage your clients' properties. Having a bird's eye view of these assets allows you to see where in the property management lifecycle you can best allocate your equipment and resources to boost client satisfaction. Ultimately, it allows you to improve renter retention, shorten vacancy cycles, and spread awareness that you are a reputable company worth partnering with. 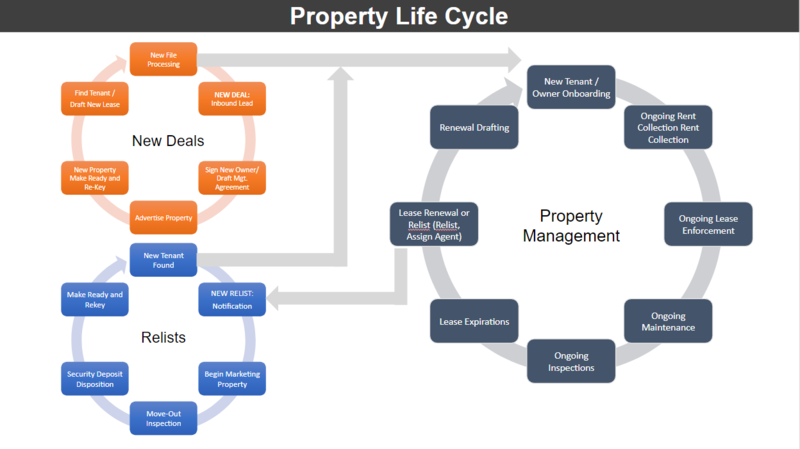 The property lifecycle is a concept mentioned throughout our blogs and materials because it is the first step on the path to creating workflows and optimizing your property management business. When you learn to view your business through the lens of the property lifecycle, you can take a high-level accounting of your operations. The high-level view is helpful for those who are starting a property management company, as well as for existing companies. Sometimes reviewing the big picture will help you see where you can make improvements in your work processes, or create better training materials. 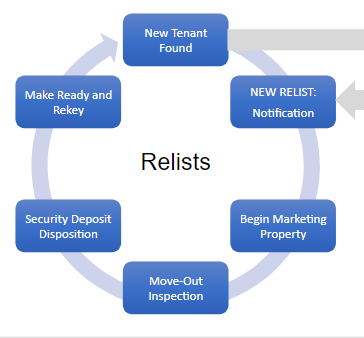 The property management lifecycle consists of three phases: new deal, relist, and property management. There are numerous mini-steps involves in the new deals phase of the property management lifecycle. The very first step involves the initial point of contact with a prospective client. This client may have come into contact with your brand through your website, a referral, by phone, or even email. The initial point of contact tends to be the most important because it sets the stage for you to "dress to impress." If you fail to make a positive impression, the lead will likely turn to one of your competitors. After initial contact, you'll then streamline the lead into the qualification stage. Does the client have properties that you would like to manage? How many properties are there? Can you handle the number of properties the client has? Do you provide all of the services the client is in need of? Ideally, you will complete the new deals phase by successfully onboarding the new client. In this stage, you start with the management agreement, signing a new property owner. After the management agreement is signed, the property is brought into your portfolio where you list the property and perform the new property make ready and re-key. When you find and lease a tenant, the file goes to new file processing where it is set up in your property management software systems. 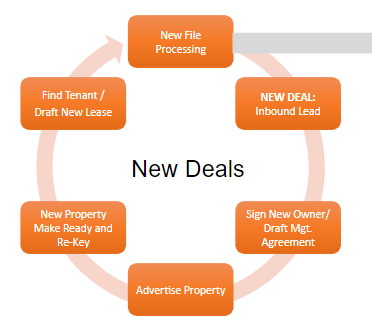 New deals are also the new tenant/owner onboarding part of the property management phase, which moves into the day to day operations of a property management business: collecting rent, ongoing lease enforcement, maintenance, and inspections. Lease expirations either lead to a renewal, in which case the property management lifecycle continues, or a re-list, which moves you to the re-list phase. The property management phase is where you will spend most of your time; this phase is the day to day operations of your business. The property management phase is the part of the property management lifecycle that you want to stay in for as long as possible. Staying in this phase means you are doing something right. You are effectively securing new deals and keeping your clients happy by keeping their rental properties filled with tenants. More so, you are keeping tenants happy, which results in them renewing their leases. It is very important to understand that each piece of property, including separate units within the same property, goes through the property management phase individually. You may have a client with 20 properties, and while 15 of those properties may stay rented on an ongoing basis, there may be five that you are continually having to relist. As long as the client/owner chooses to stay with you, though, you don’t have to cycle back through the new deal phase with that client. To keep every single property in the property management phase for as long as possible, there are several tips you can follow. At the core of these tips is tenant satisfaction. The happier tenants are, the more likely they are to pay on time and renew their leases. First and foremost, you need to collect, create, and manage extensive details relating to each property. You can use a property management software program to store and access this information. 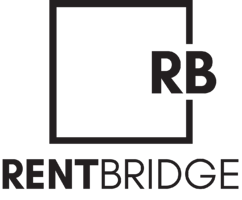 With the right platform, you can even create an online portal allowing tenants to log in and make monthly rental payments. The single most important thing you can do to boost tenant satisfaction rates is to respond in a timely manner to their inquiries. Even if you are unable to visit the property within 24 hours, responding to the inquiry within eight office hours will alert the tenant you are scheduling a time to address their concern. Scheduling regular walk-throughs is highly encouraged. This allows you to pinpoint issues that are not noticeable by the tenant but need to be addressed. These walk-throughs show both tenants and the owners you are truly concerned with the keeping the properties in the best shape possible. Once a tenant chooses to vacate a property, or in the event a tenant has to be evicted, you will then move into the re-list phase. The re-list phase is very similar to the new deal phase, but in this case, you are continuing your relationship with your client (the owner) and finding a new tenant for the property already in your portfolio. Start marketing your property before the lease is up, so you have a list of interested leads. Conduct a move out inspection and document damages in the security deposit disposition. Conduct the make ready and re-key the property. When you find a new tenant, you move back into the property management phase, and everything starts over. There is a lot of marketing that takes place during the re-list phase. You will, hopefully, be taking advantage of various online marketing techniques, including retargeting ads and social media marketing. Retargeting tends to perform exceptionally well in the real estate industry because it allows you to target an audience that has already shown interest in renting a home or apartment. It keeps your brand at the forefront of the audiences’ minds and entices them to contact you to find a rental property that can meet their needs. Have you ever heard of cookies? Retargeting uses a tiny code to drop an anonymous cookie into the browsers of people visiting your site. This code is so tiny that the user doesn't even know it's being placed their other than the fact that you explicitly state your browser drops the codes. These cookies track the user and place your ad in front of them on sites they visit that allow ads. Retargeting is very effective in bringing back site visitors who visit your site but don't contact your brand. It turns leads into actual customers by constantly reminding them that your brand can serve as a valuable solution to their rental needs. Listing vacant properties on syndicated sites like Zillow and Trulia is also an effective way to market rentals and shorten the vacancy cycle. 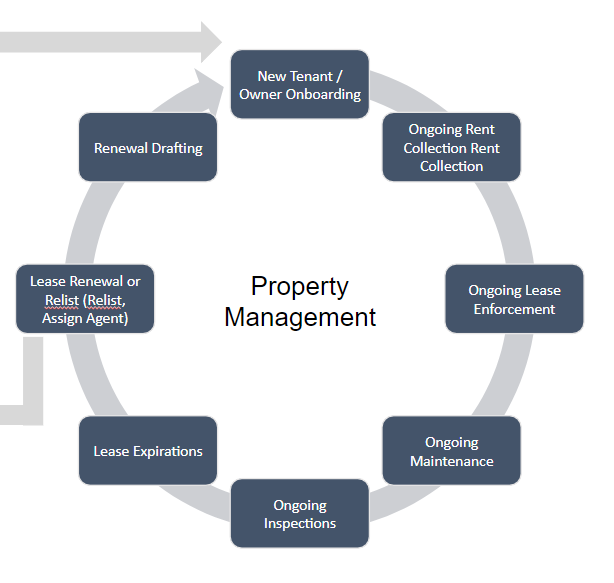 Every element of managing a property management business ties into a section of these phases. During management, you will be in these phases sometimes all at once, and the process will continue over and over throughout the life of your business. If you would like to learn more about the property management lifecycle, our course “How to Start, Run, and Grow a Property Management Business” covers this topic in depth, as well as everything else you need to know to start your own successful property management company. Already have your property management company up and running? Create a game plan for increased business success in 30 days.